Police respond to the scene of a fatal shooting near Market and 19th Streets. In addition to the female killed, another young female and man were wounded. The gunshots woke Labron and Latasha Harden up. One shooter fired. Boom boom boom. Then, what sounded like an automatic weapon answered, the shots tight and close together: boom boom boom boom. Back and forth, back and forth. Maybe 15 shots in all, said the Hardens. "We heard a bunch of screaming and a bunch of running," Latasha Harden said. "All the crying and screaming -- I'm sure they saw the girl laying there." A young woman was dead. Two others were wounded. 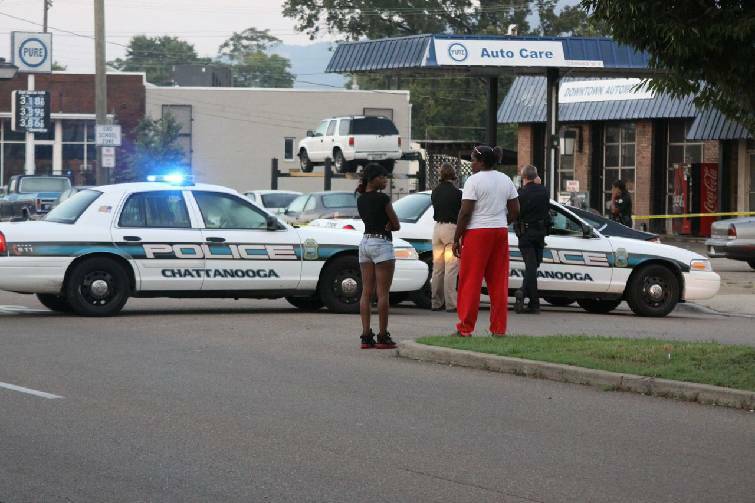 The incident happened at 1900 Market St. -- just a few doors down from the Chattanooga Choo Choo -- around 2:30 a.m. Sunday, according to Chattanooga police. The young woman fell on her back in a parking lot, surrounded by broken glass and trash. Police taped off the scene and someone covered her body with a light-orange sheet. The other two victims, Dominiqick Fitch, 21, and Darrell Armour Jr., 24, were treated at local hospitals for non-life-threatening wounds. Fitch told police she was sitting in a vehicle at 1846 Market St. when someone started shooting. By dawn, only a few bystanders remained at the site, sitting on cars or standing quietly nearby. And by 10:30 a.m., the tape was gone, police were gone, and the only sign that anything had happened in the parking lot was a crumpled orange sheet and a dark stain of blood on the pavement. Police have not identified the victim, although friends and family on social media grieved for the woman, who they say was a new mother to a 4-month-old girl. 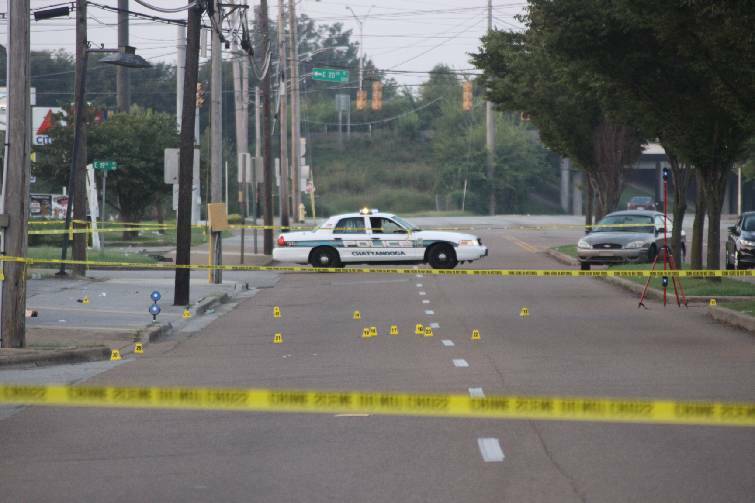 The woman's death is the 22nd homicide in Chattanooga this year, and she is the 15th person killed by gunfire in the city. The Hardens have lived in their home for three years and have always planned to eventually move, but waking to gunshots so close may speed up their plans. "It was really close," Labron Harden said as his kids played on his front porch. "The thought that bullets could have flown through the house -- that's frightening," said Latasha Harden. "Bullets don't have eyes."